The Asian Civilisations Museum (ACM) is the first museum in the region to present a broad yet integrated perspective of pan-Asian cultures and civilisations. As one of the National Museums of Singapore under the National Heritage Board, we seek to promote a better appreciation of the rich cultures that make up Singapore's multi-ethnic society. While Singapore's forefathers came to settle in Singapore from many parts of Asia within the last 200 years, the cultures brought to Singapore by these different people are far more ancient. This aspect of Singapore's history is the focus of the ACM. The Museum's collection therefore centres on the material cultures of the different groups originating from China, Southeast Asia, South Asia and West Asia. The Asian Civilisations Museum's flagship at Empress Place opened on 2 March 2003. 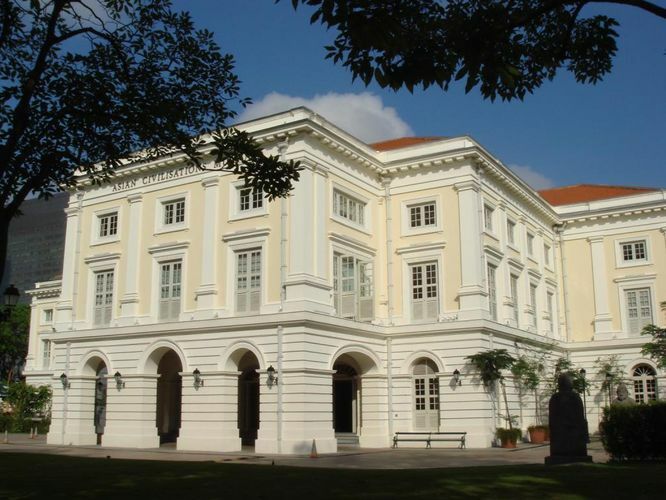 Occupying over 14,000 square metres at the newly-restored Empress Place Building, it houses 11 galleries which showcase over 1300 artefacts from the Museum's growing collections on the civilisations of China, Southeast Asia, South Asia and West Asia/ Islamic. These collections include recent acquisitions as well as artefacts inherited from the historic Southeast Asian ethnographic collection of the former Raffles Museum. Visitors can enjoy a programme of changing special exhibitions throughout the year.